SPF is an abbreviation for sun protection factor. It is a slight misnomer, because SPF only indicates a sunscreens ability to block ultraviolet B light. It says nothing about the other type of ultraviolet light that the sun emits, ultraviolet A light. Make sure that your sunblock blocks UVA light as well. If it does not say so on the tube, then rather assume it does not block UVA. There is some confusion around what the SPF value indicates and how often you should apply sunscreen. As mentioned, the SPF value indicates a sunscreens ability to block ultraviolet B light. If it normally takes Y minutes before you sunburn, by using a sunblock cream it would take Y minutes multiplied by the SPF value, before you will sunburn. If you get a sunburn after 10 minutes without a sunscreen, by using a SPF 15, you will get a sunburn after 150 minutes. If you get a sunburn after 8 minutes without a sunscreen, by using a SPF 30, you will get a sunburn after 240 minutes. Irrespective of the above formula, you should always reapply sunblock cream after 2 hours or so, because sweating and rubbing will removed the sunscreen from your skin. This is why sunscreens with a very high SPF value are overkill. A sunscreen only has to protect you from ultraviolet light for 2 hours or so, before you should anyway reapply the sunscreen. If you normally get a sunburn after 10 minutes without a sunscreen, then with a SPF 15 sunscreen, you will get a sunburn after 150 minutes, which is 30 minutes longer than needed, because after 2 hours you should anyway reapply the sunscreen. 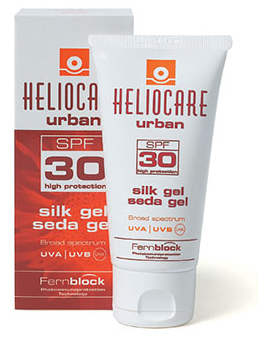 For most people a SPF 30 sunblock cream that also block UVA light is more than enough. Use it and reapply the sunscreen every 2 hours. Reapply the sunblock directly after swimming as well. Wear a hat, ultraviolet blocking sunglasses and protective clothing. Also, try to avoid sun exposure around midday. Dear B. Please look here.